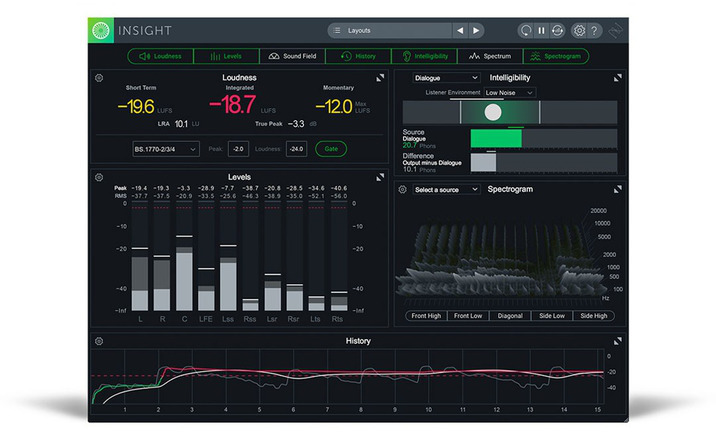 Whether you’re measuring loudness for broadcast compliance, ensuring clear dialogue for film, or managing a complex 7.1.2 Dolby Atmos session, Insight 2 is the metering tool for the job. Don’t let your dialogue get lost in the mix! Insight 2’s new Intelligibility Meter takes the guesswork out of setting dialogue levels and provides you with a clearer picture of how an audience will experience the dialogue, no matter their listening environment. Mix with confidence using visual benchmarks that confirm your dialogue is sufficiently clear.